Hoppin’ Grapes, at 409 W. Fry, Sierra Vista presents a fund-raiser Wine Tasting featuring Kent Callaghan and wines from his Callaghan Vineyards. The event will be January 29th from 5-7pm. A portion of the proceeds will go to benefit Boots for OUR Troops Foundation, an Arizona 501c(3) dedicated to assisting AZ veterans with their immediate needs. Tickets are $15, available in advance or at the door. 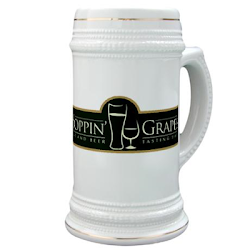 Contact Eric Potvin at Hoppin’ Grapes (520)338-9463 or Boots for OUR Troops Foundation, 1-844-838-2368, for tickets/information. Join us tonight and stay to enjoy some great tunes by Becky and Scott as they present live music until 9PM. 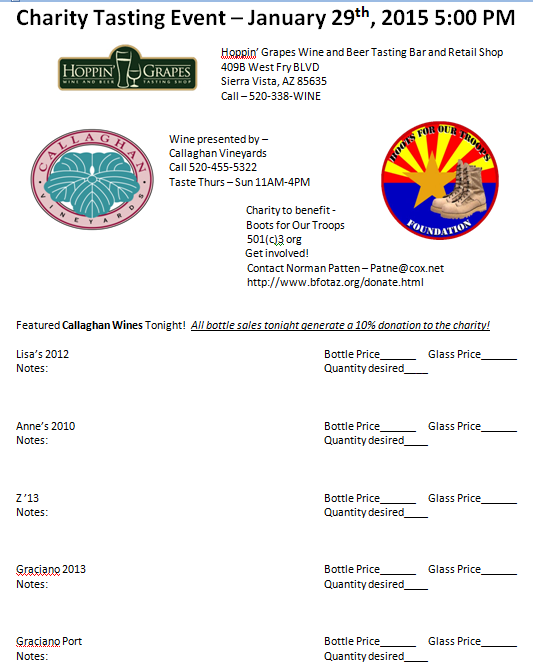 10% of all Callaghan Wines bottle sales tonight will go directly to benefit Boots for OUR Troops. 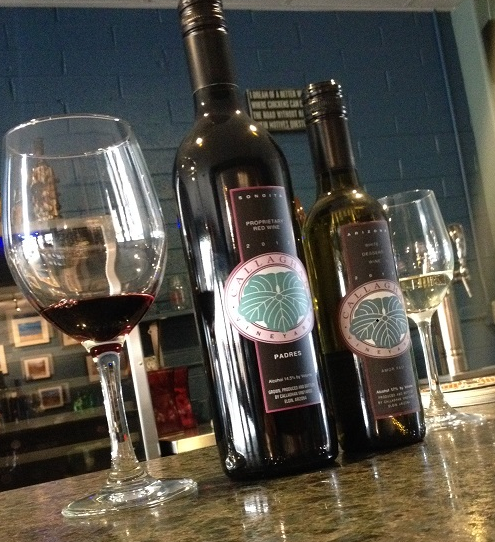 A listing of the featured wines can be found in the picture to the right. Click on the image to enlarge it. See you tonight!